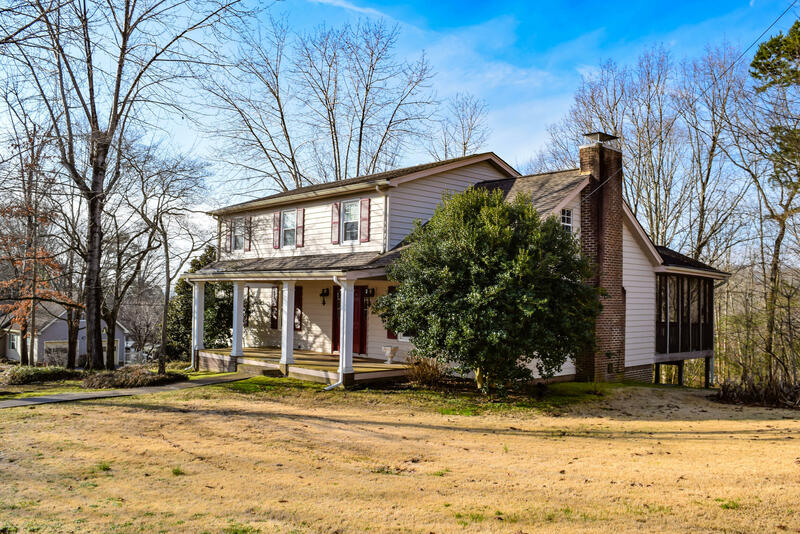 This classic, traditional 4 bedroom home comes with an extra buildable lot for a total of 0.83 acres! Situated on a corner lot in a wonderful, QUIET neighborhood on a cul-de-sac, you'll love this location. Downstairs, it's all hardwood. There's a large laundry room and pantry in addition to the breakfast nook, seperate dining and living rooms and the huge den complete with beautiful brick fireplace leading to the spacious screened in porch. Upstairs there are 4 bedrooms AND a walk-out storage area above the den that is perfect for later expansion. Master bedroom is large and has a walk-in closet as well as an en suite bathroom. Roof is less than 5 years old. Many updates on this home since it was built. Buy this GEM from original owners! © 2019 Chattanooga Association of Realtors. All rights reserved. Information deemed to be reliable but not guaranteed. The data relating to real estate for sale on this website comes from the Chattanooga Association of Realtors and the Broker Reciprocity Program.sm. Real estate listings held by brokerage firms other than Sabrena Realty are marked with the BR logo and detailed information about them includes the name of the listing brokers. Listing broker has attempted to offer accurate data, but buyers are advised to confirm all items. Information last updated on 2019-04-19.